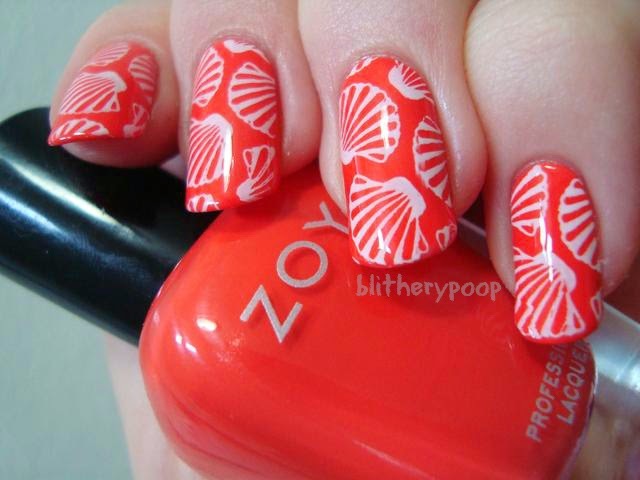 When I reviewed Zoya's Tickled collection (which was sent for review), I said they made me feel unusually summery. I took that feeling and ran with it, doing a few swimsuit-themed looks. Memorial Day, the unofficial start of summer, seemed like the perfect time for them! 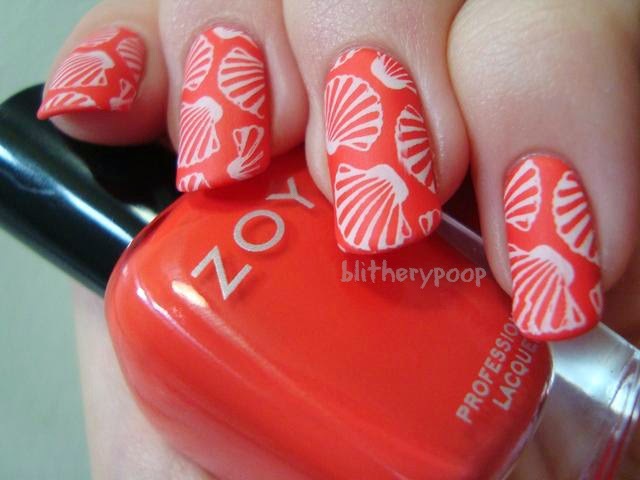 Rocha got stamped with scallop shells from Cheeky Tropical Holiday and Sally Hansen Whirlwind White. I think we sold a bikini with this print when I worked at a Banana Republic Factory Store. This is the fourth image in the seventh row of the Cheeky Tropical Holiday plate. I got this plate in a set and wasn't sure if I'd keep it, but now I'm glad I did! 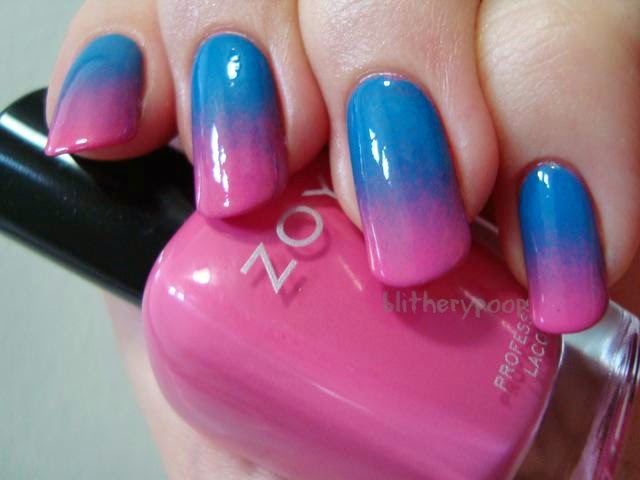 It looks even "swim-ier" with a coat of matte top coat. Wendy went 80's with a MoYou Time Traveler star image and Color Club Beyond. Nichole inspired me to do this one...even if it didn't turn out quite like she wanted. The plate doesn't seem to be up on the MoYou site right now, but it's Back To The 70's - 02. Despite being on a 70's plate, this images looks 100% 80's to me, especially in these colors. I think I had a suit like this when I was seven-ish. Wendy is tricky to photograph. The next photo is closer to being accurate, but it's somewhere in-between. 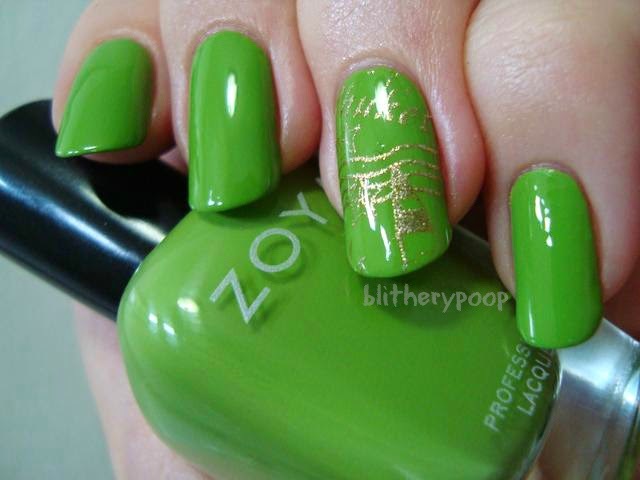 Tilda and Sally Hansen Go Gold came together with another image from Cheeky Tropical Holiday. This is for McGee! We were chatting on Facebook when I first got this plate. She's just as juvenile as I am and we both got a good chuckle from the image second from right in last row. It says "Phuket", a name I find hilarious, though I know it's impossible to read here. 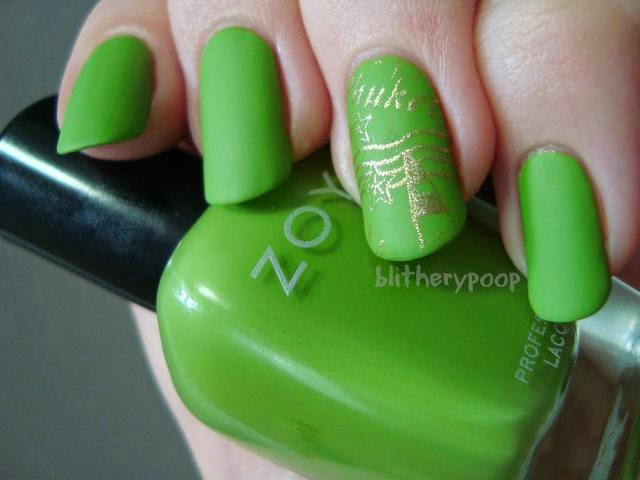 Matte topcoat made it a bit easier to see, but my nails are too curved to show the whole word at once. Dammit. 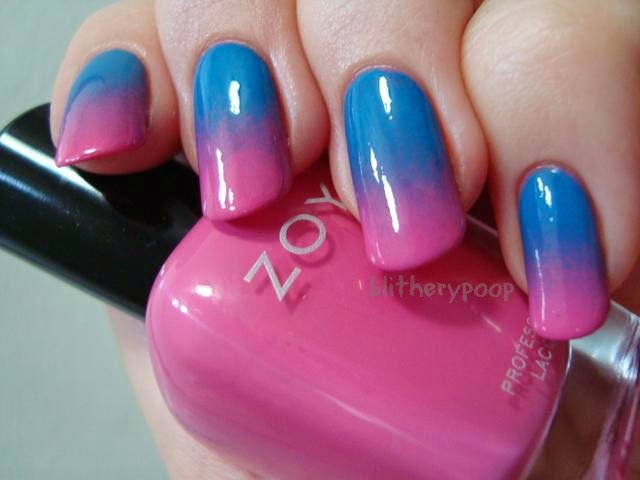 And finally, Rooney and Ling joined forces for a sponge gradient. I'm not so sure about this one. The 'join' of the two colors just doesn't work for me somehow. I hope all of our US readers have a good Memorial Day! I don't get holidays off from work, but I'm gonna enjoy watching the mid-season finale of Mad Men and swatching for an upcoming post...and maybe I'll have a hot dog or something too. 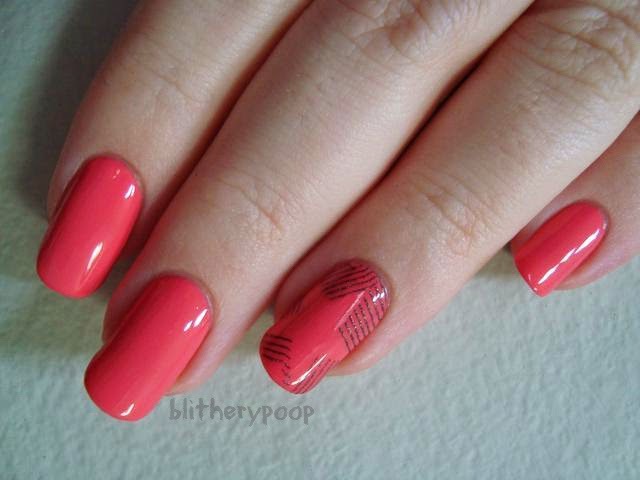 I love that first mani - the colour and the stamping, so perfect for summer!